Microchip Technology Inc. (MCHP): What Smart Money Thinks about This Stock? The 700+ hedge funds and money managers tracked by Insider Monkey have already compiled and submitted their 13F filings for the third quarter, which unveil their equity positions as of September 30. We went through these filings, fixed typos and other more significant errors and identified the changes in hedge fund positions. Our extensive review of these public filings is finally over, so this article is set to reveal the smart money sentiment towards Microchip Technology Inc. (NASDAQ:MCHP) . Microchip Technology Inc. (NASDAQ:MCHP) shares didn’t see a lot of action during the third quarter. Overall, hedge fund sentiment was unchanged and the stock was included in the 13F portfolios of 23 funds from our database at the end of September. At the end of this article we will also compare MCHP to other stocks including Alcoa Inc (NYSE:AA), Henry Schein, Inc. (NASDAQ:HSIC), and American Water Works Co., Inc. (NYSE:AWK) to get a better sense of its popularity. 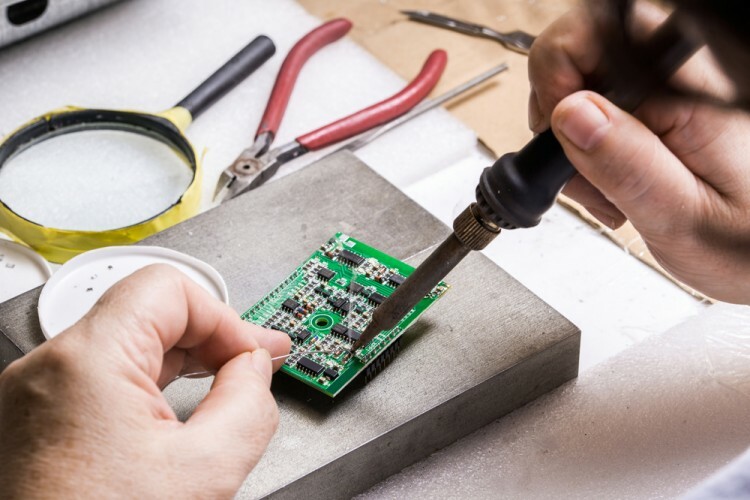 Now, let’s take a look at the fresh action surrounding Microchip Technology Inc. (NASDAQ:MCHP). How have hedgies been trading Microchip Technology Inc. (NASDAQ:MCHP)? A total of 23 funds tracked by Insider Monkey were long Microchip Technology at the end of the third quarter, unchanged over the quarter. 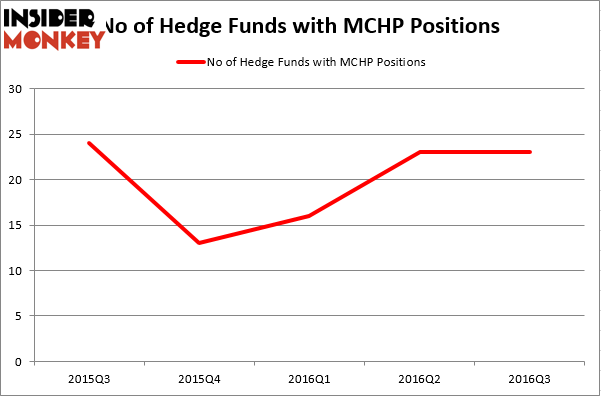 On the other hand, there were a total of 13 hedge funds with a bullish position in MCHP at the beginning of this year. With the smart money’s sentiment swirling, there exists a few key hedge fund managers who were increasing their stakes considerably (or already accumulated large positions). Of the funds tracked by Insider Monkey, Panayotis Takis Sparaggis’ Alkeon Capital Management has the number one position in Microchip Technology Inc. (NASDAQ:MCHP), worth close to $83.4 million, comprising 1.6% of its total 13F portfolio. On Alkeon Capital Management’s heels is Jim Simons’ Renaissance Technologies, with a $41.6 million position; 0.1% of its 13F portfolio is allocated to the company. Remaining peers that hold long positions encompass Dmitry Balyasny’s Balyasny Asset Management, David Harding’s Winton Capital Management, and Peter Rathjens, Bruce Clarke and John Campbell’s Arrowstreet Capital. We should note that none of these hedge funds are among our list of the 100 best performing hedge funds which is based on the performance of their 13F long positions in non-microcap stocks. Is Northstar Realty Europe Corp (NRE) Going to Burn These Hedge Funds? Is Liberty Sirius XM Group (LSXMK) A Good Stock To Buy? Hedge Funds Are Still Buying Novanta Inc (USA) (NOVT) Should You Avoid Nationstar Mortgage Holdings Inc (NSM)? Hedge Funds Don’t Think Very Highly of Annaly Capital Management, Inc... Is Nordic American Tanker Ltd (NAT) A Good Stock to Buy?